I spent Friday piecing the backing, loading the new sampler, Doing the Splits, on the frame, winding bobbins and quilting a couple of rows. I'm using the Starburst Panto, which is one of my favorites. 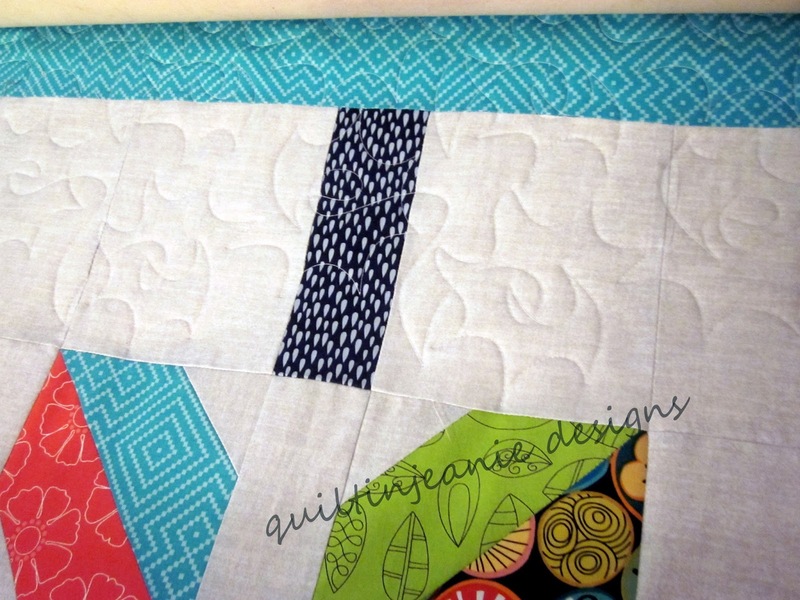 There is a lot of negative space on this quilt, so it calls for something that fills in well. I need to get it finished soon so I can take photos of it to advertise the quilt class. I am always excited to start a new class. 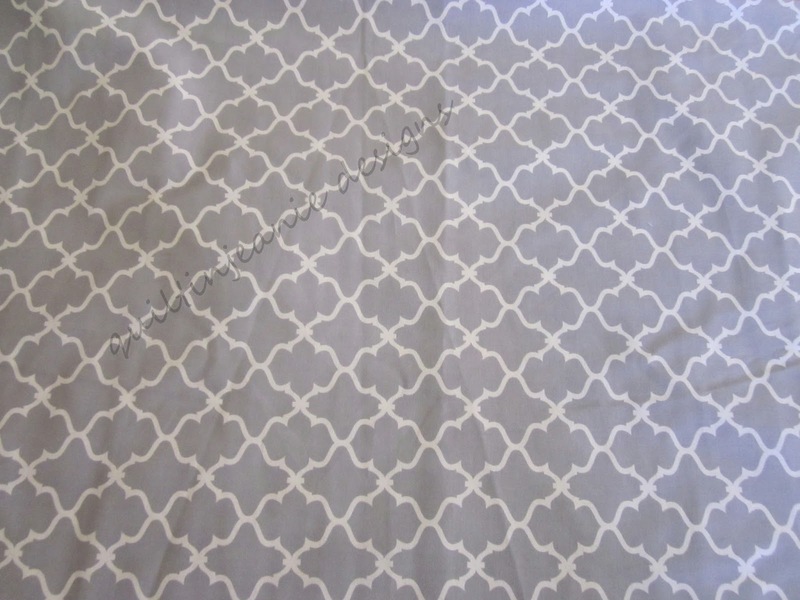 I've been working on writing the patterns too, and am about half finished. 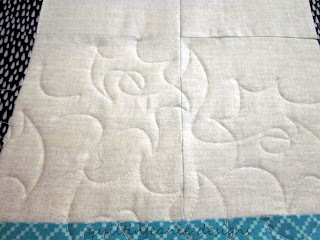 My goal for the weekend is to get as much finished on this quilt (inclucing the patterns) as I can. 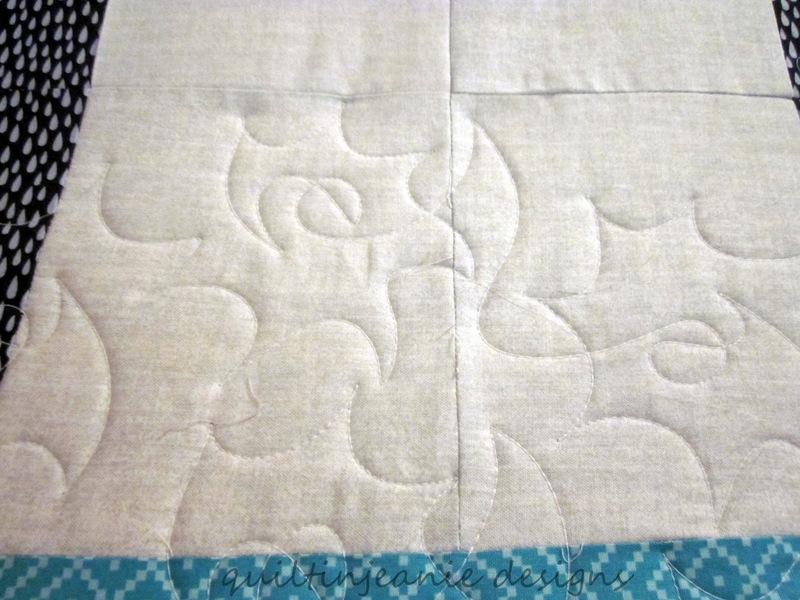 Next up on the machine is the Off the Beaten Path baby quilt. I have so many quilts that need to be quilted that I need to have one on the machine at all times this summer. 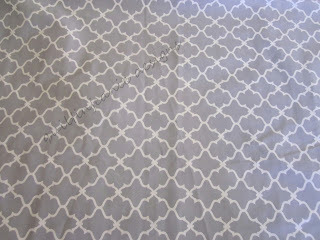 Here is the backing fabric I got for Doing the Splits. Pretty generic pattern but interesting. Not sure about the binding yet... thinking about the green leaf or multi colored print in the picture above. We'll see when it's finished. I've spent a lot of time this week cleaning too. 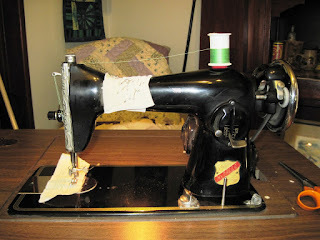 My house is neglected throughout the spring as I am busy with school, quilt classes and sewing. So each room needed a good cleaning from top to bottom. I have the main floor looking pretty good now. 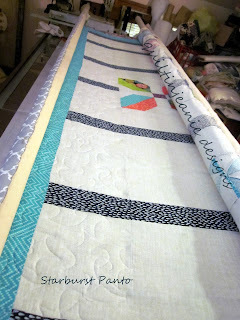 I cleaned the spare room upstairs the other day when putting the quilts from the trunk show away, so I need to tackle our bedroom and the quilt machine room. Lots of piles in both rooms, so it will take awhile. 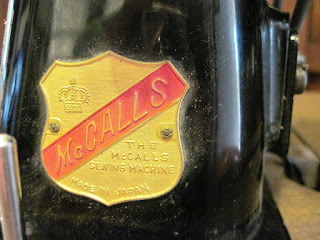 As I dusted around my aunt's old McCalls sewing machine the other day, I decided that I should be using it. I cleaned it good and played around with it for awhile. 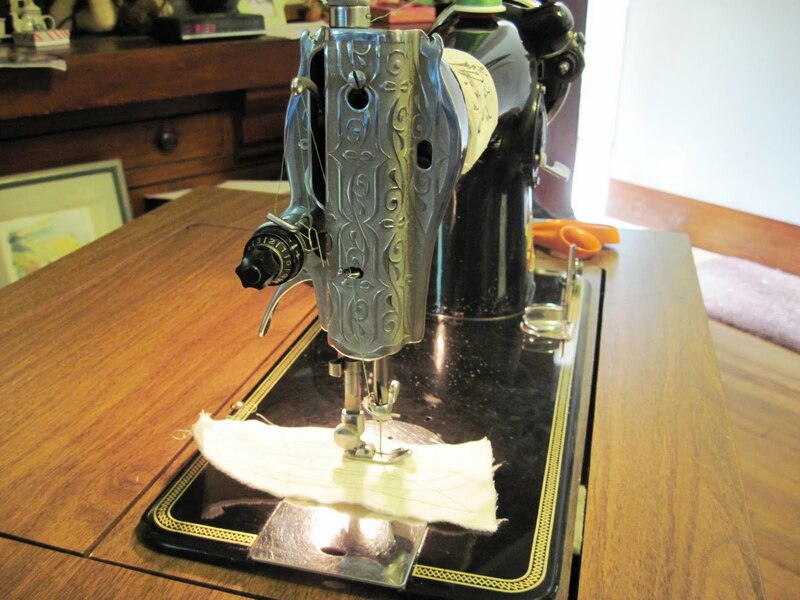 It sews like a dream. I bought it at the estate sale after my uncle died. I asked the family if this was the machine she had always sewed on and they said it was the only one they found. I took it out of the 70's style table that my uncle had put it in and placed it in an old Singer cabinet I had purchased at a yard sale at some point that would be closer to the right era. I need to take some new pictures of it and use it now! Pretty little sewing machine. Bet it will wonderful to piece on. What a great class 15 machine. I know you'll love stitching on it.